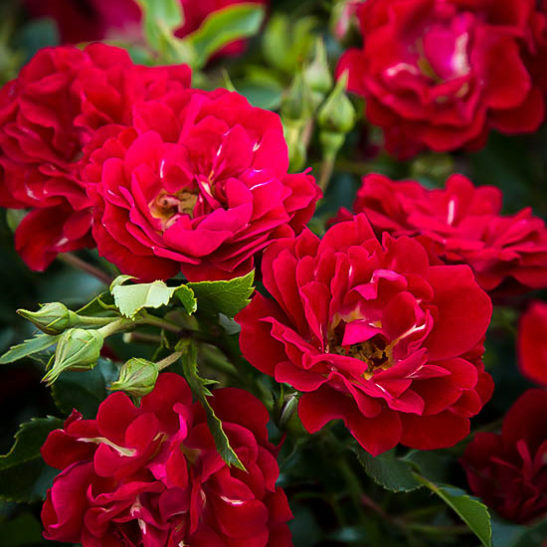 The Red Drift® Rose has the classic color of red roses, but in a multitude of miniature flowers on a low, mounding bush. It is remarkable for its disease resistance too, needing no sprays against any of the major rose diseases. It flowers continuously from early summer to frost, with each succession of blooms fading away to be replaced by more and yet more. The flowers are a vibrant red color, fully-double, and the bush spread between 2 and 3 feet wide, while staying only 18 inches tall. It is a perfect flowering shrub for small gardens or small spaces, as well as looking beautiful planted in drifts between other smaller shrubs in a larger bed. With its slightly-cascading habit, it also looks perfect planted at the top of a wall, where it will cover and soften the hard edges of the bricks. It grows well in containers and planters, so you don’t even need a garden to enjoy these blooms all summer. 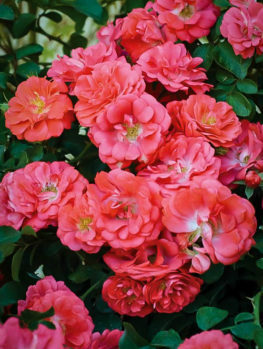 Plant the Red Drift Rose in a sunny spot, as full sun will give you the most flowers. Any soil, including clay, suits it, although it may not be as vigorous in dry, sandy soils. 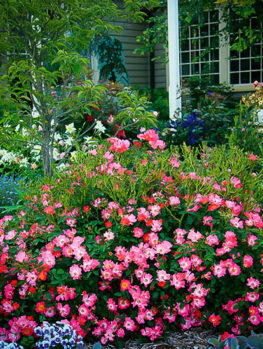 Enrich the soil with organic material when you plant, and use a rose fertilizer regularly throughout the season. With its resistance to disease assured, you can relax and enjoy this low-maintenance plant, just as you would any other flowering shrub. A quick trim in early spring is all that is needed to keep it healthy and vigorous. With this rose, you get all the beauty but none of the work usually associated with growing roses. 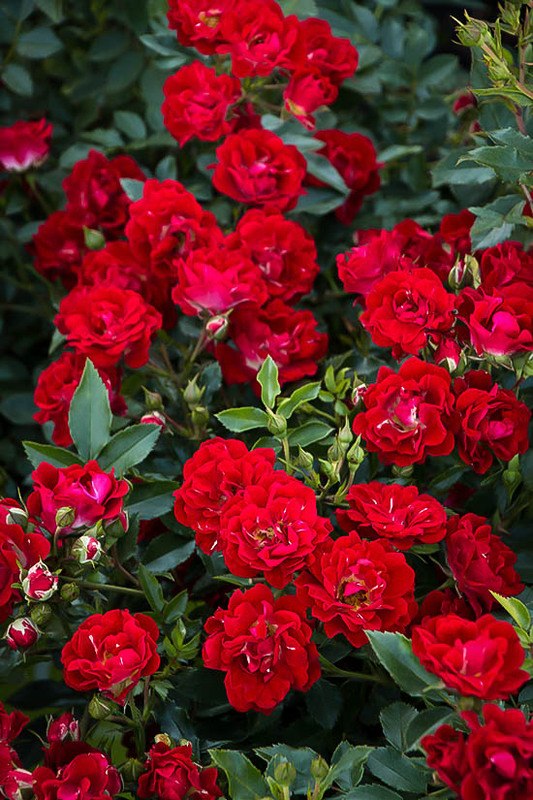 Everyone loves rich red roses – the classic color for that beautiful plant. Just think of how beautiful and novel it would be to see that classic red rose not on single, tall stems, but in sprays of miniatures blooms, covering a low, mounding bush from spring to fall. That is the Red Drift Rose. 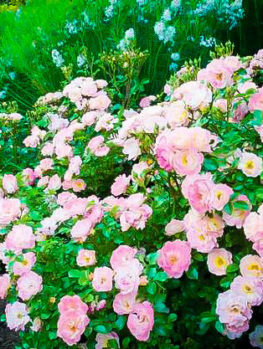 This break-through rose brings a whole new meaning to roses as landscape shrubs, giving continuous blooming and a landscape-perfect size. 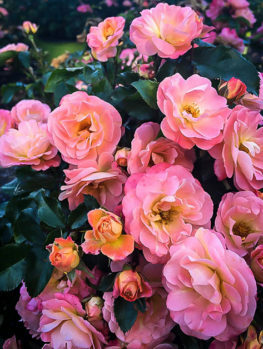 Only specialists have the time these days to grow classic roses, with all the work involved, but with the Drift Roses, anyone can fill their garden with them, just like other easy-care landscape shrubs, and enjoy endless color. The Red Drift Rose is perhaps the most elegant of them all, with sprays of many tiny red roses covering a bush that grows to 18 inches tall, and spread 2 to 3 feet across. This is the perfect size for planting in a small garden, where they can be tucked into sunny corners. In a larger garden, plant Drifts in larger groups along the edge of a border, beside a walk or driveway, or soften the hard edges of walls by planting them right behind the brick or stone. They are also great choices for planter boxes and pots, decorating your terrace or patio, or welcoming you at the front door. 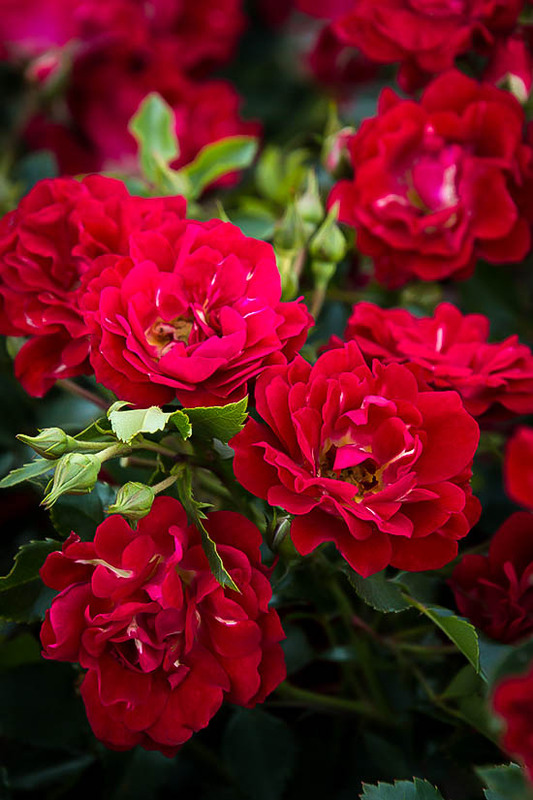 The Red Drift Rose has deep-green, glossy leaves that never show the signs of disease, because this plant has been bred to resist all the main rose diseases – Mildew, Black Spot and Rust. Never again will you be desperately spraying to keep your plants healthy. Instead, you can relax and admire how the blooms keep coming and coming from early summer to the frost. Each flower cluster has up to 15 blossoms in it, and individual flowers last 2 to 3 weeks. The flowers themselves are 1½ inches across, and a rich, deep red color, with about 14 petals in each delicate bloom. When the flowers open fully they show a yellow center, adding to the interest of these charming blossoms. When the flowers do finally fade, the petals drop cleanly, and the old cluster is hardly noticeable. It does not make seeds, so it is not necessary to remove the old flowering stems to keep your plants blooming constantly, they just disappear beneath the new flower trusses, so that is one less job in the garden. 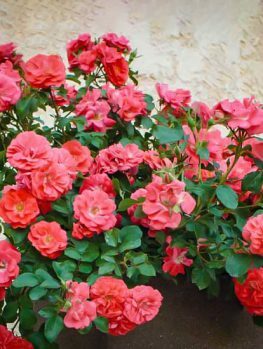 Choose a bright, sunny spot to plant your Red Drift Rose, because the more sun it receives, the more blooms it will give you. This bush will grow well in almost any soil that is not constantly wet, and it thrives in clay soils that other plants do not like. Only in very dry and very sandy soil will you see reduced growth. Add plenty of rich organic material to the soil when planting, and mulch each spring with more organic material or garden compost. 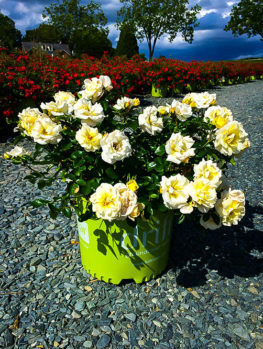 Use a rose fertilizer regularly, as directed on the package, for the best growth from your plant. The Red Drift Rose was produced around 2005 by Alain Meilland. This plant-breeder is a member of the important French rose-breeding family of Meilland, which gave the world the famous ‘Peace’ rose. His goal was to produce healthy, disease-resistant roses that would bloom continuously on small shrubs that could be grown in any garden. For this one he bred together a seedling he had already developed with three other roses. One was ‘The Fairy’, a classic miniature pink rose, known for blooming for months on end. To it he added a fragrant, low-growing red rose called ‘Kormax’ and a spreading orange-red rose known as Ralph’s Creeper. Together these roses produced a remarkable new rose to add to his group of Drift Roses. 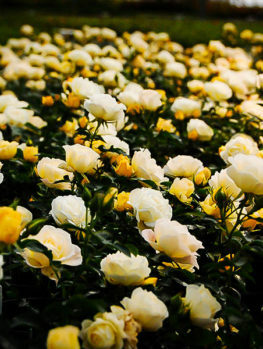 Here at the Tree Center we are thrilled to be offering plants from this new and vibrant group of roses. 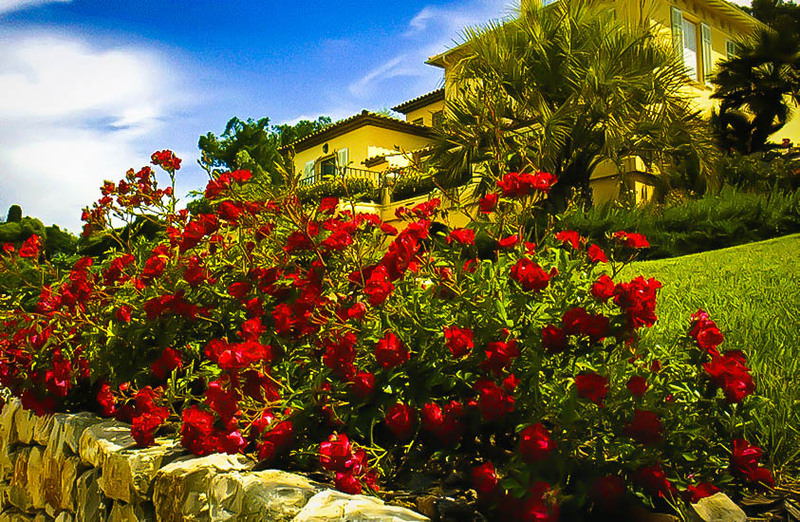 The Red Drift Rose is a favorite, and we know it will be that too with our customers. Our stocks will not last long, and we suggest you order right away if you want to enjoy this exciting plant. 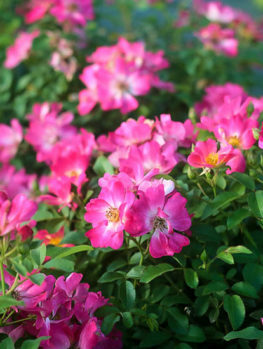 We encourage you to browse our inventory of similar plants from this series, like the Pink Drift Rose and the Popcorn Drift Rose, for more color variety.